Bring the magic of Star Wars: The Force Awakens to life on your wall! 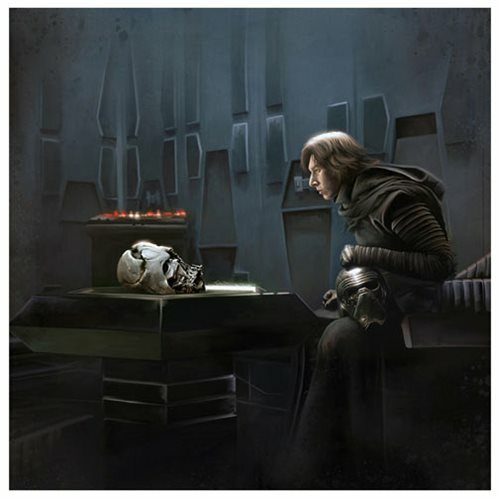 This Star Wars: The Force Awakens Bloodline By Brian Rood Canvas Giclee Art Print shows Kylo Ren sitting alone in quiet contemplation with Darth Vader's charred helmet - the last remnant of Kylo Ren's grandfather. A limited edition of 95 pieces hand-numbered on canvas and signed by artist Brian Rood, this beautiful piece of artwork measures 24-inches tall x 24-inches wide and comes complete with certificate of authenticity!